Baldwin High School won the boys and girls team titles in the opening event of the Maui Interscholastic League swimming and diving season Saturday at Kihei Aquatic Center. The Bears’ Rebecca Buenrostro-Gallimore took first place in two individual girls events and was on two winning two relay teams. She finished first in the 100-yard butterfly in 1 minute, 1.88 seconds and won the 100 backstroke in 1:01.09. Buenrostro-Gallimore teamed with Kylie Carter, Kaimilani Matsumoto and Bailey Augustine for wins in the 200 medley relay and 200 freestyle relay. Carter, Matsumoto, Kristi Kimura and Jacsen Donohue won the 400 freestyle relay. Baldwin finished with 81 points. Lahainaluna was second with 36, led by first-place finishes from Nikki Zamani in the 200 individual medley and Lexi Anderson in the 50 freestyle. 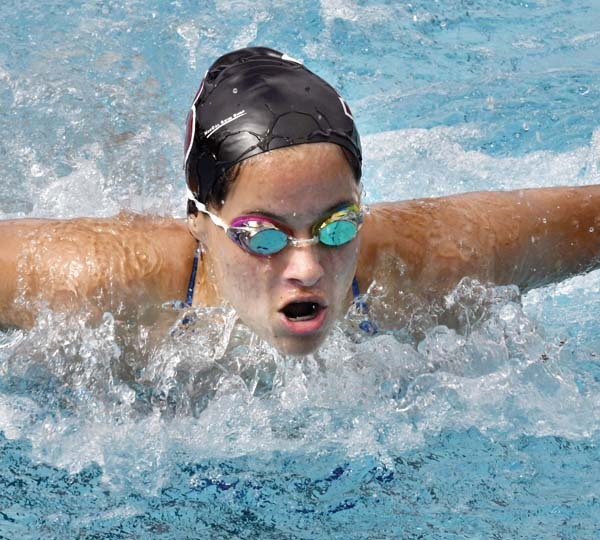 Maui Prep had three individual winners — Paloma Banto (100 freestyle), Olivia Bozich (500 freestyle) and Noelle Sheveland (100 breaststroke). Maui High’s Caroline Short finished first in the 200 freestyle, and Seabury Hall’s Skylar Lickle was the diving winner. In the boys competition, Baldwin produced the winner in nine of the 12 events. 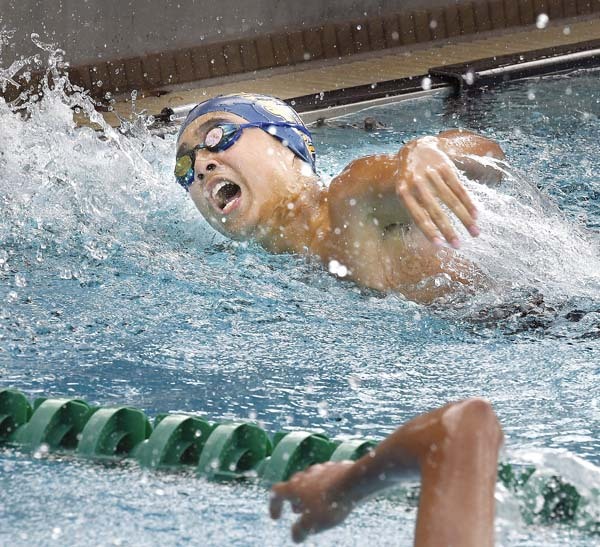 Brandon Kwock Fukuda won the 200 individual medley and 500 freestyle, and Kaipo Acain won the 100 butterfly and 100 backstroke. They were also part of the winning teams in the 200 medley relay, with Benton Turner and Bernardo Buenrostro-Gallimore, and 400 freestyle relay, with Josh Ooka and Kyler Castillo. Bernardo Buenrostro-Gallimore won the 50 freestyle, and teamed with Ooka, Lucas Licht and Alexander Strand for a first-place finish in the 200 freestyle relay. Turner was the diving winner. Baldwin totaled 96 points, 65 better than second-place Lahainaluna. Sean Cerizo of St. Anthony won the 100 and 200 freestyles, and Kamehameha Maui’s Kobe Lilio won the 100 breaststroke. Neither of the MIL’s state champions from last year — Seabury Hall’s Jasmine O’Brien and Maui Prep’s Kysha Altura — were at the meet. They were competing in USA Swimming’s West Division Winter Junior Championships in Iowa City, Iowa, which concluded Saturday. O’Brien’s best finish in the four-day event came in Saturday’s 1,650 freestyle — she was 20th in 17:08.33. O’Brien placed 52nd in the 500 freestyle and 87th in the 200 freestyle — two spots behind Altura, who also placed 57th in the 200 butterfly and 114th in the 100 butterfly. 1. Baldwin 81, 2. Lahainaluna 36, 3. Maui Preparatory Academy 35, 4. Maui High 34, 5. Seabury Hall 26, 6. King Kekaulike 17, 7. Kamehameha Maui 5 8. Molokai 1. Diving–1. Skylar Lickle, Seabury Hall, 236.60; 2. Mahana Merrill, Baldwin, 182.15; 3. Kayla Newman, Baldwin, 173.20; 4. Alysha Lia Baysa, Maui High, 156.65; 5. Keana Gulnac, Seabury Hall, 149.95. 200-yard medley relay–1. Baldwin A (Rebecca Buenrostro-Gallimore, Kylie Carter, Kaimilani Matsumoto, Bailey Augustine) 1:52.74, 2. Lahainaluna A 1:58.91, 3. Maui Prep A 2:00.19, 4. Maui High A 2:01.46, 5. Baldwin B 2:06.60. 200 freestyle–1. Caroline Short, Maui High, 2:05.91; 2. Kaylee Russell, Maui High, 2:14.81; 3. Jacsen Donohue, Baldwin, 2:17.00; 4. Ryli Cherry, Lahainaluna, 2:18.81; 5. Cecilia Buckingham, King Kekaulike, 2:21.07. 200 individual medley–1. Nikki Zamani, Lahainaluna, 2:34.58; 2. Aryana Johnson, Seabury Hall, 2:44.33; 3. Kady Tanaka, Seabury Hall, 2:48.69; 4. Olivia Grace Lawrenca, Baldwin, 2:49.34; 5. Kapili Naehu-Ramos, Molokai, 2:50.84. 50 freestyle–1. Lexi Anderson, Lahainaluna, 25.66; 2. Paloma Banto, Maui Prep, 25.94; 3. Kristi Kimura, Baldwin, 27.45; 4. Cecilia Buckingham, King Kekaulike, 27.60; 5. Bailey Augustine, Baldwin, 27.78. 100 butterfly–1. Rebecca Buenrostro-Gallimore, Baldwin, 1:01.88; 2. Caroline Short, Maui High, 1:07.18; 3. Irie Gonah, Maui Prep, 1:08.52; 4. Kaimalie Nonaka, Baldwin, 1:09.06; 5. Nikki Zamani, Lahainaluna, 1:12.03. 100 freestyle–1. Paloma Banto, Maui Prep, 55.91; 2. Jacsen Donohue, Baldwin, 1:01.80; 3. Cecilia Buckingham, King Kekaulike, 1:02.81; 4. Ryli Cherry, Lahainaluna, 1:03.10; 5. Riann Fujihara, Kamehameha Maui, 1:03.55. 500 freestyle–1. Olivia Bozich, Maui Prep, 6:04.81; 2. Kristi Kimura, Baldwin, 6:33.00; 3. Isabella Strand, Baldwin, 7:08.53. 200 freestyle relay–1. Baldwin A (Rebecca Buenrostro-Gallimore, Kylie Carter, Bailey Augustine, Kaimilani Matsumoto) 1:42.41, 2. Maui High A 1:47.73, 3. Lahainaluna A 1:52.27, 4. Maui Prep A 1:53.30, 5. Baldwin B 1:56.91. 100 backstroke–1. Rebecca Buenrostro-Gallimore, Baldwin, 1:01.09; 2. Aniston Eyre, King Kekaulike, 1:07.39; 3. Hailey Bogar, Lahainaluna, 1:08.47; 4. Jessica Baker, Baldwin, 1:09.71; 5. Bailey Augustine, Baldwin, 1:10.15. 100 breaststroke–1. Noelle Sheveland, Maui Prep, 1:14.99; 2. Cecilia Buckingham, King Kekaulike, 1:21.02; 3. Aniston Eyre, King Kekaulike, 1:21.04; 4. Angelina Rakestraw, Lahainaluna, 1:21.46; 5. Olivia Grace Lawrenca, Baldwin, 1:22.47. 400 freestyle relay–1. Baldwin A (Kaimilani Matsumoto, Kylie Carter, Kristi Kimura, Jacsen Donohue) 4:00.93, 2. Seabury Hall A 4:18.02, 3. Maui High A 4:24.40, 4. Kamehameha Maui A 4:52.80, 5. Baldwin B 5:09.31. 1. Baldwin 96, 2. Lahainaluna 31, 3. Maui Preparatory Academy 20, 4. St. Anthony 19, 5. Kamehameha Maui 18, 6. Maui High 16, 7. Seabury Hall 9 8. Molokai 3. Diving–1. Benton Turner, Baldwin, 165.55; 2. Reece Kikuchi, Baldwin, 129.55. 200 medley relay–1. Baldwin A (Kaipo Acain, Benton Turner, Brandon Kwock Fukuda, Bernardo Buenrostro-Gallimore) 1:51.09, 2. Baldwin B 1:57.23, 3. Lahainaluna A 1:59.01, 4. Maui High A 2:01.08, 5. Kamehameha Maui A 2:06.36. 200 freestyle–1. Sean Cerizo, St. Anthony, 1:58.57; 2. Alexander Strand, Baldwin, 2:09.71; 3. Kian Leonard, Maui High, 2:11.00; 4. Kyler Castillo, Baldwin, 2:14.62; 5. Tyler Chaco, Maui High, 2:15.23. 200 individual medley–1. Brandon Kwock Fukuda, Baldwin, 2:09.17; 2. Sean Cerizo, St. Anthony, 2:18.38; 3. Elijah Evangelista, Maui High, 2:48.40. 50 freestyle–1. Bernardo Buenrostro-Gallimore, Baldwin, 23.45; 2. Jordan Beam, Lahainaluna, 24.11; 3. Sean Cerizo, St. Anthony, 24.22; 4. Kendall Beam, Lahainaluna, 24.30; 5. Lucas Licht, Baldwin, 24.66. 100 butterfly–1. Kaipo Acain, Baldwin, 57.17; 2. Kendall Beam, Lahainaluna, 1:00.96; 3. Sean Janneck, Seabury Hall, 1:06.07; 4. Declan Levin, Baldwin, 1:10.69. 100 freestyle–1. Sean Cerizo, St. Anthony, 53.04; 2. Slater Fleck, Maui Prep, 53.64; 3. Bernardo Buenrostro-Gallimore, Baldwin, 54.49; 4. Lucas Licht, Baldwin, 57.35; 5. 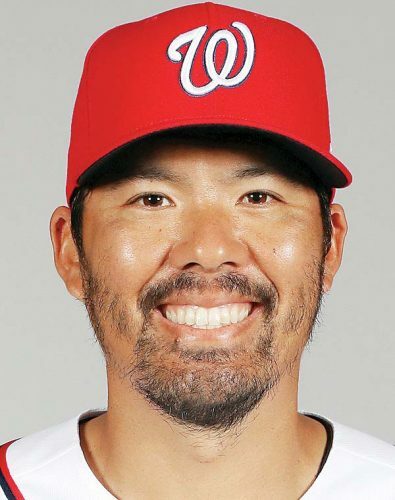 Kazutaka Iinuma-Nakaaki, Seabury Hall, 57.64. 500 freestyle–1. Brandon Kwock Fukuda, Baldwin, 5:17.61; 2. Jerone Samari, Maui Prep, 10:06.54. 200 freestyle relay–1. Baldwin A (Alexander Strand, Bernardo Buenrostro-Gallimore, Lucas Licht, Josh Ooka), 1:40.15, 2. Lahainaluna A 1:44.04, 3. Baldwin B 1:50.47, 4. Kamehameha Maui A 1:52.00, 5. Maui Prep A 1:58.40. 100 backstroke–1. Kaipo Acain, Baldwin, 1:00.96; 2. Jordan Beam, Lahainaluna, 1:02.12; 3. Kian Leonard, Maui High, 1:04.36; 4. John Williamson, Kamehameha Maui, 1:17.19; 5. Jake Compton, Lahainaluna, 1:18.30. 100 breaststroke–1. Kobe Lilio, Kamehameha Maui, 1:11.81; 2. Benton Turner, Baldwin, 1:11.93; 3. Kazutaka Iinuma-Nakaaki, Seabury Hall, 1:13.18; 4. Kyler Castillo, Baldwin, 1:15.67; 5. Jalen Kalama, Molokai, 1:16.16. 400 freestyle relay–1. Baldwin A (Brandon Kwock Fukuda, Kaipo Acain, Josh Ooka, Kyler Castillo) 3:48.99, 2. Maui Prep A 5:42.66.